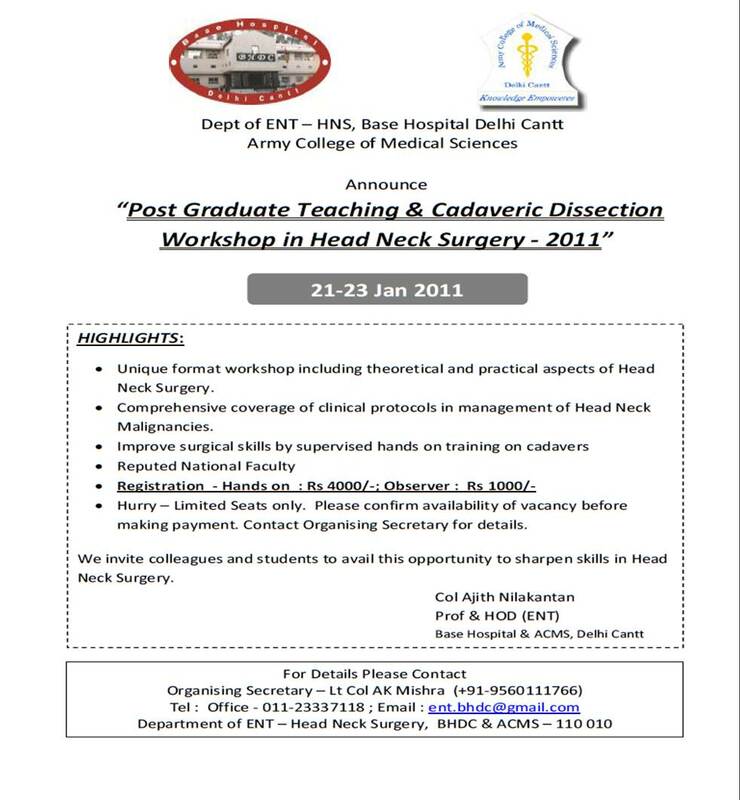 Announce "Post Graduate Teaching & Cadaveric Dissection Workshop in Head Neck Surgery - 2011"
• Unique format workshop including theoretical and practical aspects of Head Neck Surgery. • Comprehensive coverage of clinical protocols in management of Head Neck Malignancies. Registration - Hands on : Rs 4000/-; Observer : Rs 1000/-• Hurry — Limited Seats only. Please confirm availability of vacancy before making payment. Contact Organising Secretary for details. 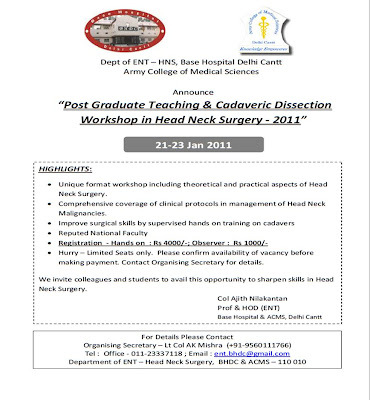 We invite colleagues and students to avail this opportunity to sharpen skills in Head Neck Surgery.